A Sony gaming consul is known as the Sony PlayStation 3 (PS3 for short). This device is used to play video games, run DVDs and serve as a media center. Connecting a PS3 to a television, alongside a cable box, makes it easier to switch between cable television and the PS3 without having to disconnect and reconnect any cables. Connect the cable box to your television. This will most likely require an the RF cable. Some newer cable boxes may have an HDMI outlet, but should also have an RF output slot. Connect the PS3 directly to your television. Most televisions will have more than one set of AV component slots, so you can still have your DVD player or VCR plugged in simultaneously. If it is a newer television, it will have an HDMI slot you can use instead of the AV component. Plug in and turn on your television and PS3. Go through your component channels until you find the channel into which your PS3 is plugged. If everything is plugged in correctly, you should see and hear the loading screen of your PS3. 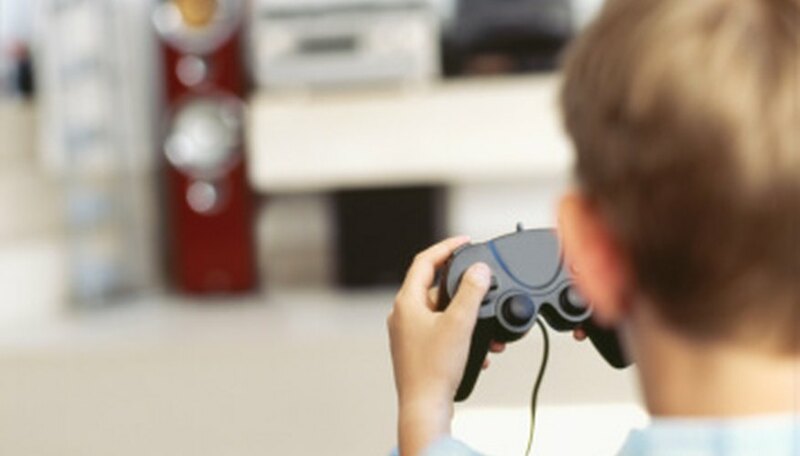 PlayStation Knowledge Center: How Do I Set Up The PlayStation3 Computer Entertainment System? Josef Bookert began writing fiction and nonfiction in 2000 and has been working in public relations for the last year. His articles specialize in travel, the arts and science. Bookert holds a Bachelor of Arts in English from Whitworth University and a Master of Arts in rhetoric from Carnegie Mellon University.